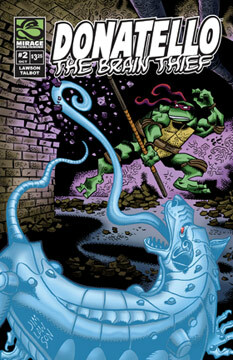 Donatello confronts the mysterious new robot. Why is it motivated to assimilate hosts and what is its relationship to the Baxter Stockman Robot? Don is overwhelmed by the many unknown questions he must answer in order to defeat this major new menace.